I know most of my readers probably aren't local, but if you are I wanted to let you know that my entire inventory at The Cottage Collective is 50% off this weekend! 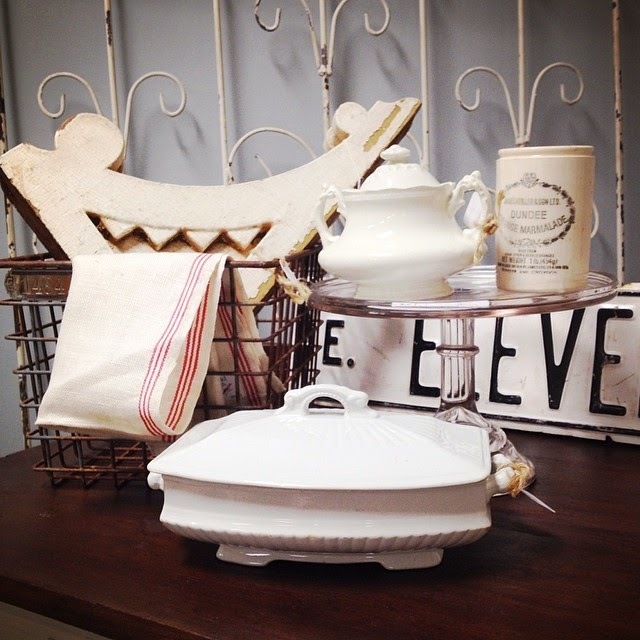 That includes ironstone, locker baskets, architectural salvage, french-stripe linens, signage and typography, crates, farmhouse stools, sugar sacks, baskets and more! We are open Friday and Saturday 9-6 at 137 N. Oliver in Kechi. And thank you to everyone on your very kind words about my announcement to take the next step with my business. It means the world to me! If you decide to sell anything online and ship, I am interested :-) Especially if you have any vintage trophies.